Ideal Home Improvements are proud to be a FENSA double glazing registered company (FENSA Registered No. - 33253), ensuring that as a home owner are protected when purchasing double glazing for your home. When you choose replacement windows and doors from Ideal Home Improvements you can be confident that your home will receive the best quality combined with our outstanding service. All of our windows are carefully made to match your exact requirements. They are all A Rated which means they are the most thermally efficient you can buy and they’re made by skilled craftsmen using environmentally friendly lead free 70mm profiles. Please feel free to contact us with any queries you may have so that we can work with you to make your home as ideal as it can be. For guaranteed quality and security, book an appointment today for a free no obligation quote. Internally glazed for extra security and ease of unit replacement with fire escape and an easy clean. BSI 'Class A' specification profiles (highest attainable). Available in white, rosewood and cherrywood, PVCu Achieves a U value of 1.8W/m2k when glazed with 28mm Low E sealed units with aluminium spacer bar air filled cavity*. 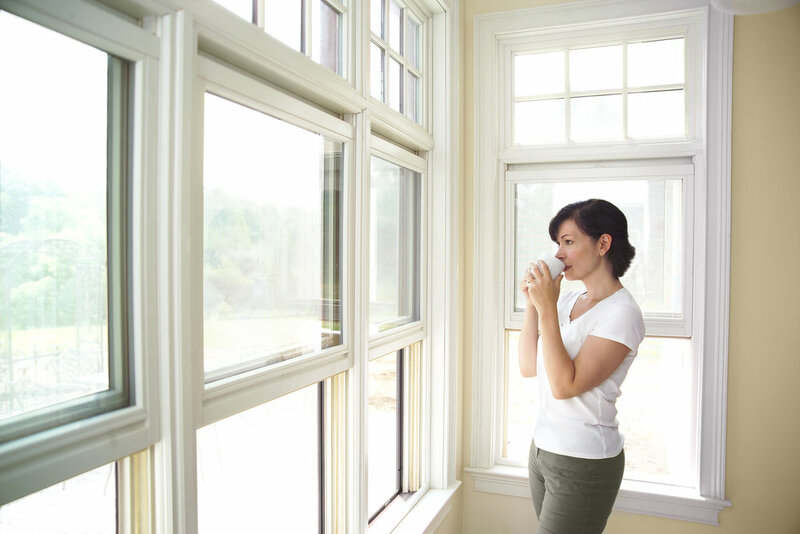 Casement windows and residential doors are secured by design. Police preferred initiative BFRC Grade A Windows are also available. Compliment every style of home. Are guaranteed for 10 years as standard, with a 15 year guarantee for the sealed units.